(David Paul Morris | Bloomberg) The Sun Valley Inn stands in Sun Valley, Idaho, on July 11, 2017. For a select group of business moguls, summer camp is about to begin. Starting Tuesday, Idaho’s Sun Valley Resort will be home to Allen & Co.‘s annual conference, with notable invitees from Comcast Corp. Chairman Brian Roberts to Walmart CEO Doug McMillon and Berkshire Hathaway’s Warren Buffett expected to attend. 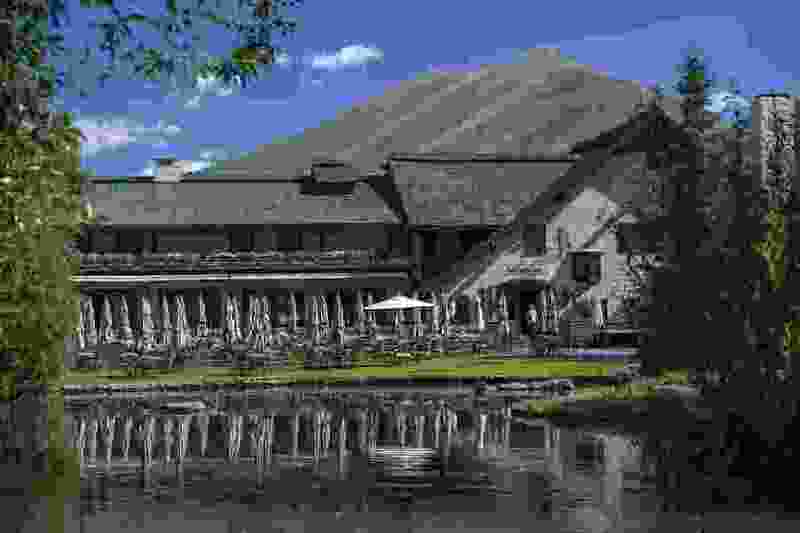 Known as the “summer camp for billionaires,” the invite-only event lets attendees get their fix of mountain biking and golfing, as well as merger talks and media spats. During the conference, Sun Valley Resort’s town homes and cottages go for $1,600 to $3,400 a night. 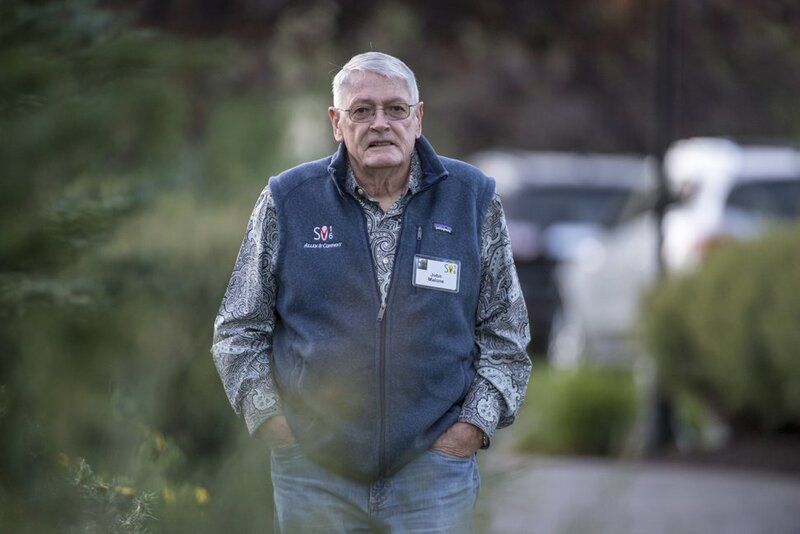 • Deal discussions: Buffett calls it ABWA — or acquisitions by walking around — and Sun Valley is just the venue for it. The billionaire investor famously helped kindle talks for Walt Disney Co.‘s purchase of Capital Cities/ABC Inc. at the 1995 retreat, and Disney is once again in the spotlight this year. CEO Bob Iger is locked in a bidding war with Comcast for 21st Century Fox Inc.‘s entertainment assets, competing for properties ranging from “The Simpsons” to “X-Men.” Fox’s controlling shareholder Rupert Murdoch and his sons, Lachlan and James, are expected to be on hand to provide ample opportunity for some ABWA. • Malone’s next move: Away from Fox, John Malone is bound to command attention. The original “cable cowboy” has indicated his interest in buying regional sports networks and recently reiterated his view, in an interview with the Wall Street Journal, that targeting Spanish-language media would make sense for cable operator Charter Communications Inc.
(David Paul Morris | Bloomberg) John Malone, chairman of Liberty Media, at the Allen & Co. Media and Technology Conference in Sun Valley, Idaho, on July 7, 2016. Malone holds a significant stake in Charter, and there’ll be plenty of potential targets at Sun Valley that could fit the bill. Overall, media dealmakers are likely to be emboldened by AT&T Inc.‘s sweeping court victory in June — allowing its takeover of Time Warner Inc. — as well as the proposed loosening of limits on how many television stations one company can own. • Redstone v. Moonves: Let’s not forget Shari Redstone, who’s locked in a legal battle with CBS Corp. CEO Leslie Moonves. The board of CBS is trying to strip Redstone’s family investment vehicle, National Amusements Inc., of its voting control over the media company that operates the U.S.‘s most-watched TV network. The move came months after Redstone asked CBS and Viacom Inc. — also controlled by her family — to explore a merger. (David Paul Morris | Bloomberg) Shari Redstone, vice chairwoman of Viacom Inc., at the Allen & Co. Media and Technology Conference in Sun Valley, Idaho, on July 11. Both the media mogul and Moonves are invited to attend the conference, just three months before their case goes to trial in Delaware. Moonves, who has previously discussed deals with Verizon Communications Inc. and Lions Gate Entertainment Corp., could again have a chance to find an alternative partner. • New media, old media: With Facebook’s Mark Zuckerberg, Apple’s Tim Cook, Amazon.com’s Jeff Bezos and Netflix Chairman Reed Hastings all on the guest list, some investors will be hoping 2018 will be the year that one of the technology companies swoops in on a legacy media business. Amazon’s 2013 acquisition of the Washington Post was struck at the conference, but the tech giants are yet to snag a traditional film or television business, with Comcast so far having little luck enlisting Amazon in its pursuit of Disney. With tech disruption driving so many deals over the past few years, Wall Street has been left wondering of the giants in the room: Will they or won’t they? • Trump’s China spat: President Donald Trump’s escalating trade war with China and the intensifying scrutiny of cross-border deals is sure to be a topic of discussion among some of the world’s richest executives. The U.S. last week imposed an additional tariff of 25 percent on $34 billion of Chinese imports, and the president is eyeing levies on another $16 billion of goods, indicating that the final total could surpass $500 billion. Trump has already blocked the biggest tech merger in history — Broadcom Inc.‘s attempted $117 billion purchase of Qualcomm Inc. — on national security grounds. • Planned programming: While much of the Sun Valley conference intrigue swirls around discussions that happen behind closed doors, investment bank Allen & Co. does put on a planned of talks for the invitees. An agenda viewed by Bloomberg in 2015 provided a rare glimpse into the itinerary. That year included a talk with Tesla Inc.’s Elon Musk, interviewed by LinkedIn Corp. co-founder Reid Hoffman, in which he projected the public would be using driverless cars as soon as this year.